If someone turns up on your doorstep this Christmas offering you free mince pies, don't immediately slam the door in their face and dismiss it as a sales scam. Actually, it could be legit. It could be Tesco. Apparently, the supermarket giant has plans to deliver 18,000 packs of free mince pies to households in various locations around the UK in the run up to Christmas. Why? Well, isn't that what Christmas is all about? Niceness and getting free stuff! 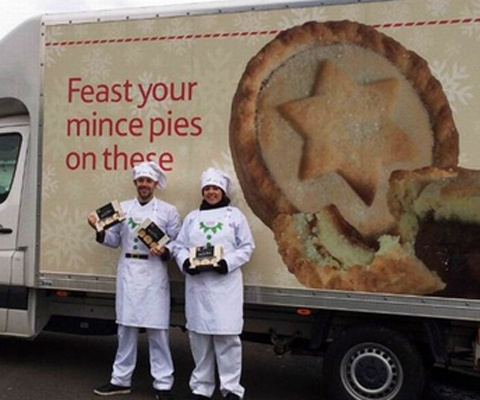 The Mince Pie Man will use his van to deliver 1,000 of the freebies in each of the 18 locations where it has chosen to spread the festive, sweet pastry cheer in. I've no idea how it picked the 18 places, but as Gloucester is on the list which is where I reside... so who am I to question it? The mass giveaway also has a sweet spot to it, because if you aren't home when Tesco tries to drop you some mince pies, you'll get a voucher through your door to go and collect some from your local shop. Nice. The story has been covered in a fair few places; Metro, The Sun, Telegraph and Mirror to name a few. It's a perfect example of a simple and effective seasonal PR stunt. Something else that has caught my eye recently has been a certain green puffer jacket that seems to have, somehow, gone viral. The jacket from Urban Outfitters has been popping up so frequently on social media and the web that it even has its own Instagram account called That Puffer. It's £76 and my guess is that the fashion brand want to push this particular garment, which is part of the Light Before Dark range, as the perfect Christmas gift to cause a spike in festive sales. It's probably done the trick, judging by the number of people who have it. Leeds University and the surrounding area seemed to be a hotbed for green puffer jacket wearing hipsters, but "sightings" have happened all round the country. Well played, Urban Outfitters. Space World is the name of a theme park in a southern city of Japan called Kitakyushu, and it's had a bit of a self-inflicted PR crisis on its hands this week. You've probably seen the story, because it's appeared pretty much everywhere, but here's the main things you need to know in case you haven't. 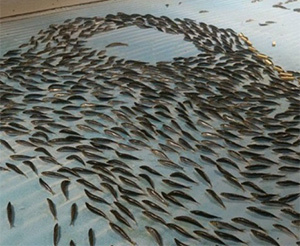 The park recently opened an ice rink on which skaters could glide over a staggering 5,000 dead fish that were frozen close to the surface in various patterns, like swirls and arrows. Some of the fish were only half submerged, so their mouths were above the surface; major trip hazard, if you ask me! Anyway, the onslaught of criticism online was pretty intense, with most people not best pleased with the tasteless gimmick. Whether or not the park did this intentionally just to get into the press is anyone's guess (obviously, that's a possibility) but the management have now had to close the rink after the various complaints about the "spectacle" being disrespectful to animals. 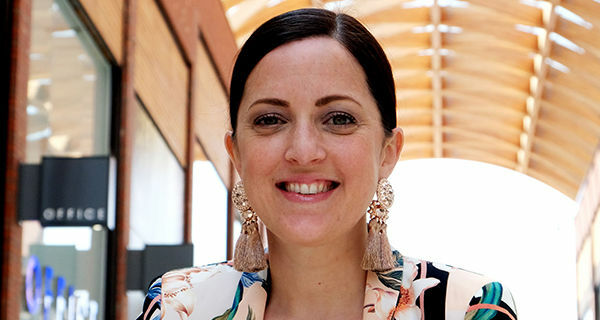 The apology statement was short and bitter: "We have received a lot of opinions such as 'Using animals as entertainment and in events is bad' and 'Poor fish'. We sincerely apologise." Hmmm, heartfelt. Space World's general manager has said they will now be holding a memorial for the fish. Riiiight. In other news, the Royal Mint has received loads of stick after it was uncovered that those shiny new fivers are not vegetarian and vegan friendly. I know what you're thinking and you're right, they really wouldn't taste too great in a sandwich; but, this all relates to the fact that animal fat is used in the plastic. As my avid followers (anyone? are you out there?) will know, I'm a vegetarian and I'll admit that this does gross me out a bit. I also think it's entirely pointless and the Royal Mint should've known that they would face backlash once news of their meaty fivers came out. 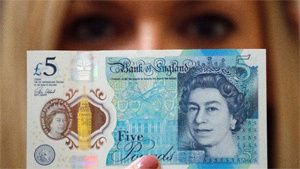 There are already petitions in full swing to change the way the five pound notes are made, but we'll have to wait and see if those amount to anything.